Commencing 6 May, then 13 May and 20 May 2018. $110 for the full course, includes morning tea or coffee. Children $55, or a family for $300. Maximum of 15 full fee paying participants. All welcome. Aunty Beverly is a Kabi Kabi story-teller with an immense knowledge of local Indigenous traditions and history around South East Queensland, and this knowledge has been recognised through the University of the Sunshine Coast’s conferral of a fellowship. She established and ran Mimburi, a large river meeting place for reconciliation and connection, over the last five years, attracting thousands of visitors, indigenous, educational and community groups, teaching use and care of, as well as respect for, local materials and place. She runs Walking Talking Country tours and has introduced many to the wonders and details in understanding country. 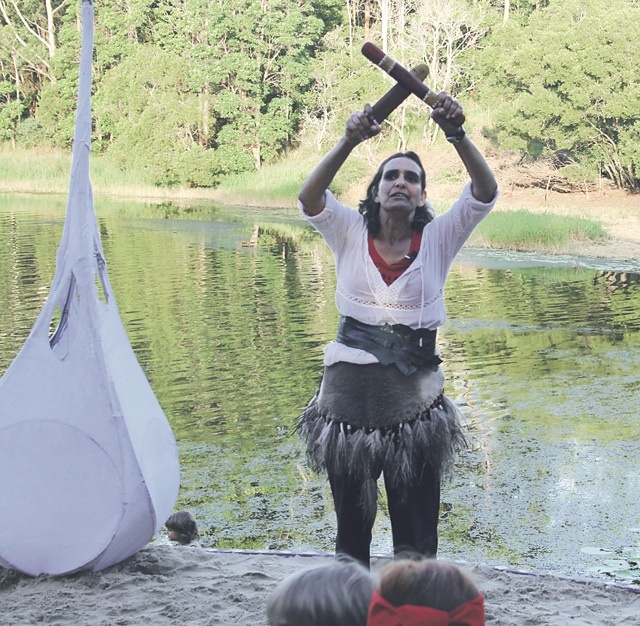 She re-established the traditional annual Bunya Dreaming in 2007, bringing together Indigenous groups with the wider community celebrating and connecting with the sacred bunya trees of the Blackall ranges in Queensland through festival, art, weaving, dance, song, and Bunya challenges. She has been involved with the Mary River CCC, Maleny Community Centre, Barung Landcare, and Cooroora Institute instigating and informing about local Indigenous culture.